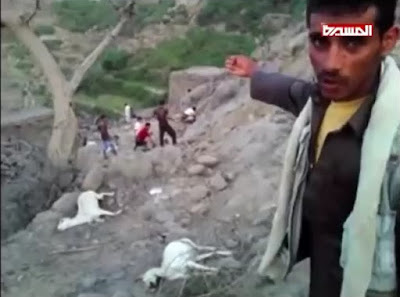 Yemen War Crimes: 24th Aug 2015, village buried by Saudi coalition airstrike in Yemen. 6 bodies retrieved, others still buried in the rubble. 24th Aug 2015, village buried by Saudi coalition airstrike in Yemen. 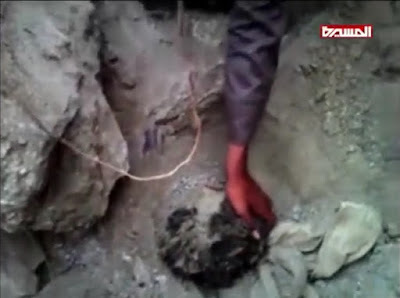 6 bodies retrieved, others still buried in the rubble. On the 24th August 2015, the Saudi led coalition airstrikes destroyed a village along the Yemen border with Saudi Arabia, at Bani Sayah in Razih, Sadah governorate. 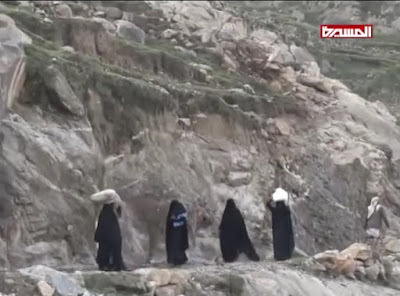 Bodies of six members of the same family, all women and children, were retrieved. It is believed that most of the other villagers are still buried under the debris. 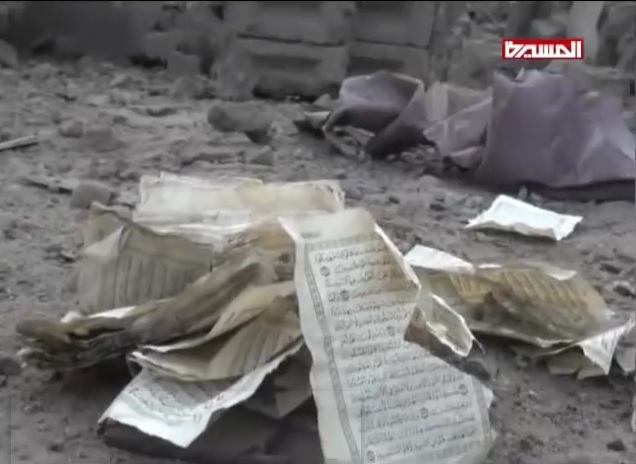 Survivors have been searching for missing family members in the rubble. A man's head has been found embedded in the debris but they can't get him out - it is thought that his child may be buried next to him. Cattle were also destroyed. Warning: This video is graphic and distressing. It is placed here as evidence of war crimes to call for a UN investigation and for Western governments to respect the Arms Treaty and stop selling weapons to Saudi Arabia.